سواءً كنت مسافراً بغرض السياحة أو العمل، Cottages on Mount View هو خيار عظيم للإقامة خلال زيارتك للمدينة. يمكن من هنا للضيوف الاستمتاع بسهولة الوصول إلى كل ما تقدمه هذه المدينة النابضة بالحياة. يوفر العقار بفضل موقعة الجيد وصولاً سهلاً إلى أهم معالم المدينة.
. يعمل Cottages on Mount View على ضمان إقامة مريحة لضيوفه من خلال خدماته الممتازة وحسن ضيافته. يمكن الاستمتاع بمجموعة من الخدمات على أعلى المستويات في الفندق كمثل مدفأة, مطبخ, مرافق مخصصة لذوي الاحتياجات الخاصة, تسجيل وصول/خروج سريع, صف السيارات. تنعكس أجواء Cottages on Mount View في غرف الضيوف.تلفزيون بشاشة مسطحة, حوض الاسترخاء, غرف لغير المدخنين, مكيف هواء, تدفئة هي بعض الميزات الموجود في العديد من الغرف. يقدم الفندق خدمات رائعة كمثل مسارات المشي, حوض استحمام ساخن, سبا, حديقة لمساعدتك على الاسترخاء بعد نهار طويل من النشاط والتجوال في المدينة. اكتشف مزيجاً ساحراً من الخدمة الاحترافية والخيارات الواسعة من وسائل الراحة والمتعة في Cottages on Mount View. 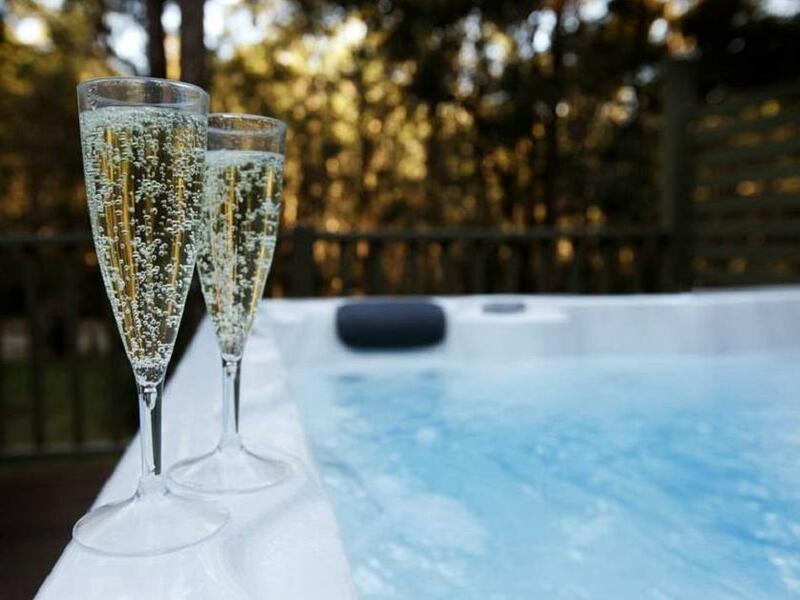 We are glad you enjoyed our cosy bushland retreat for a relaxing winter weekend away from the city. Facilities and staff were exceptional..so peaceful, picturesque and beautiful. Hubby and I had an amazing time. Thank you to the managers. 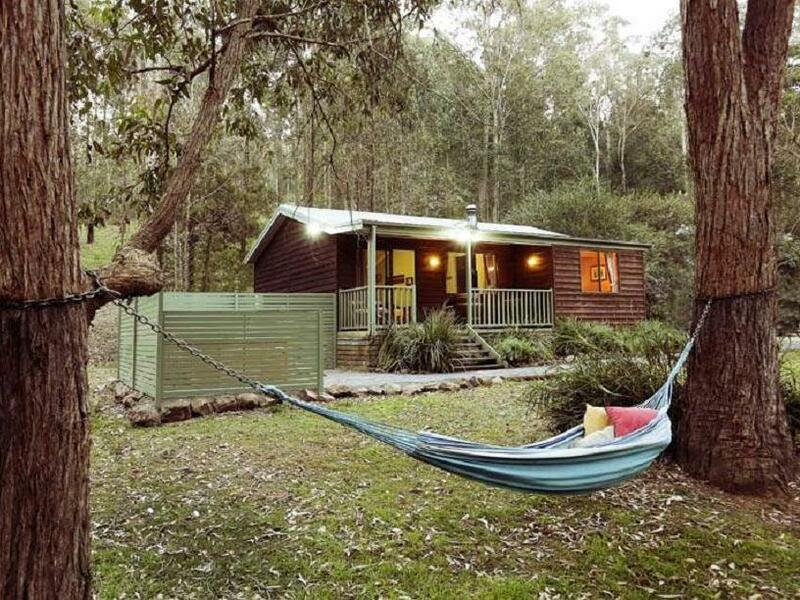 Lovely clean and very comfortable cottage. Everythingwe needed was provided. Our breakfast was delightful with fresh mushrooms, bread, tomatoes, bacon and some lovely jam. Thank you for taking the time to review us. We are so pleased that you had an enjoyable weekend stay. We look forward to your next visit. This was my second stay at the cottages- my first time as a couple and this trip with 4 girlfriends. The accommodation was perfect on both occasions! We loved the breakfast hamper and the free bottle of local wine was a perfect start to our weekend away. Make sure you bring food for dinner though as the location is quite remote. We were picked up out the front for a local winery tour and also made good use of the private spa. Will definitely come back here for another trip in the future. Thanks Renee, we are so glad you had a great girls weekend here at Cottages On Mount View. Food prep is easy in our small but fully fitted out kitchen, or on the gas bbq on the balcony. Many of our guests tour the Hunter Valley for gourmet foods to bring back for a simple but scrumptious meal. We're glad you enjoyed the spa and the wine tour! We look forward to your next visit. Thank you Rachael for taking the time to review us - we are delighted that you had a wonderful relaxing weekend and we look forward to your next stay. Too pricey. Middle of no where. So boring and scary at night. Owner won't accept any complaint from customer. 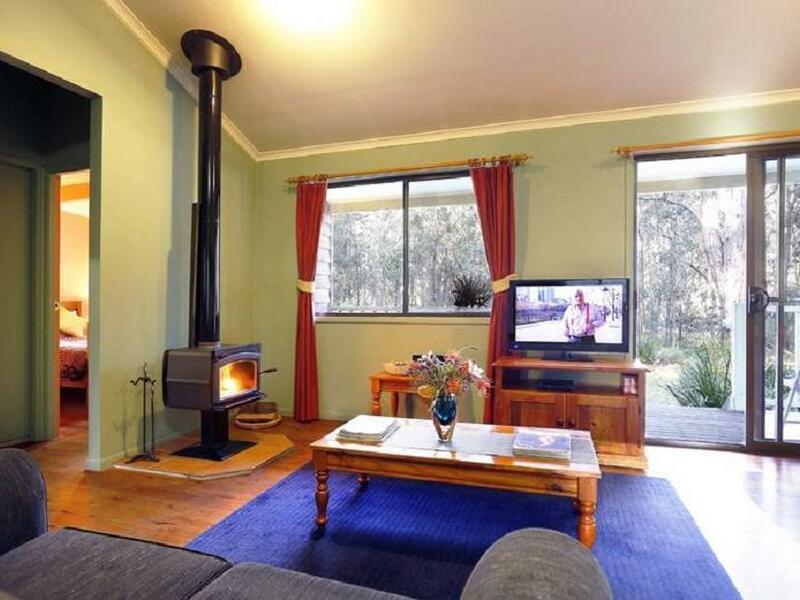 Sam, we offer a self catered cottage in a tranquil bushland park setting which offers a serene private retreat from city life. Please refer to our other reviews on this and other review forums for genuine commentary about our property. Our rates are set competitively and we note that you received a discounted tariff. We are disappointed that you were scared at night and bored, but that is really beyond our control. As you did not make any complaints to us during your 2 night stay or at check-out, other than a general question about heating in the bedrooms, we were not able to respond. However, when we do receive a genuine complaint, our policy is to listen carefully and respond appropriately to our guests concerns. Simple but pleasant rooms with a great spa and delicious breakfast hamper. So quiet, yet still close to some of the better vineyards. John couldn't help us out enough and the cabin was clean and cozy. It had all the facilities we needed and was close enough to the main centres of Polkabin that the drive was easy and relaxing at the end of the day. Sitting on the veranda in the morning with a coffee listening to the bell birds sing was blissful. Our stay at the Cottages on Mount View was a perfect setting for our wedding anniversary and our trip into the wineries and Neil Diamond concert. We will certainly be recommending this venue to our friends. Cozy, romantic stay at Cottage #3 but planning on coming back with some friends for another weekend! John went out of his way to book us a wine tour, provide us with a vegetarian breakfast and have the spa heated and ready for us when we arrived at night! The only negative was the fire took a long time to heat up the cottage and we needed an extra blanket at night once it was out. Also, some wine tours were unwilling to pick up from this location but we enjoyed the isolation factor! Amazing cannot wait to go back! Bush setting. thoughtfulness of owners. Relaxing. Very very relaxing. Beautiful setting. What a fantastic place to relax unwind and forget about the busy city life. Thank you to John ad Andy for a fantastic weekend away in a beautiful cabin. We went there for a family celebration and the cottages enabled us to be together without trying to all jam into a small hotel room when we wanted to all be together. Relaxation was an added bonus from these cottages and many of our group enjoyed the outdoor spas or just relaxed in front of the fire. The breakfast basket was full of choice and catered to all the varied diets within our group. The local shuttle bus easily overcame the slightly off the beaten track location and was prompt in pick ups and drop offs - we didn't use our cars the whole time there! The owner was friendly, helpful and unobtrusive. Quiet and with great woodland views. Mildew on shower curtain. No phone reception. Rough road access. A fair distance from main attractions of the Hunter.